link Super supply chain link So, what's happening in this sector? link Security threats link So, what's next? Chantel Troskie, Oracle South Africa. From rewards cards that track your shopping through to buying online, and Makro's solution to allow you to order online and collect at a drop box, e-retailing has come a long way. Although it's still in its infancy in South Africa, it's rapidly gaining traction as a way to shop for those who have access to the internet. While the latest research from World Wide Worx is somewhat dated, given that it was published in 2016 and the online sector moves fast, the online segment is growing at a serious rate of knots. MD Arthur Goldstuck and his team found that, during 2016, online retail was expected to grow faster than the overall retail landscape. To put that into perspective, Statistics SA's figures from December show that the overall trade retail market was worth almost R1 billion, when inflationary increases are stripped out, growing at low- to mid-single digits. World Wide Worx's latest report shows that online retail grew at a high rate in SA, hanging onto its growth rate of above 20% since 2000. In 2015, the growth rate was 26%, and, while the rate is expected to fall a little in 2016, to 20%, that's still ahead of the numbers recorded by StatsSA for overall retail trade. Retailers are cottoning onto this trend, and increasingly shifting to tech to serve customers. 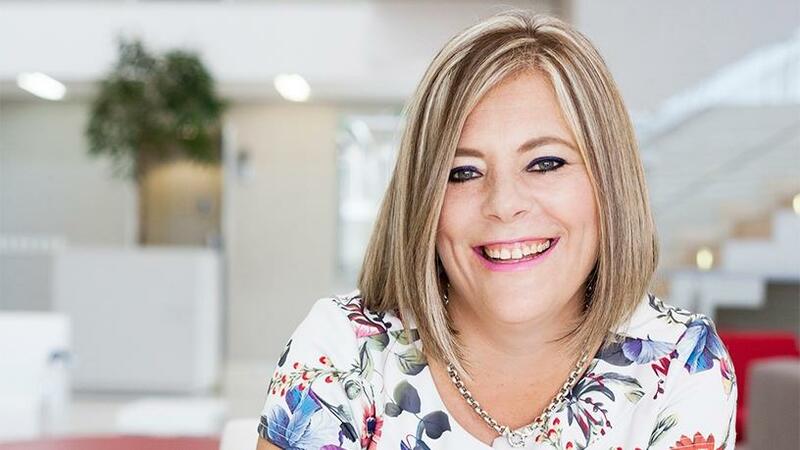 SAP Africa's Digital Transformation Lead, Paige dos Santos, notes retailers are embracing a variety of new technologies to deepen their knowledge of the customer and enhance their ability to provide them with the perfect offering for their needs. "Being able to provide customers with a consistent omni-channel experience has become a standard requirement." Do Santos adds the Internet of Things presents opportunities, as it can provide data that allows retailers to optimise. "Constant real-time monitoring of cold chain goods, route optimisation based on in-the-moment weather and traffic information, and predictive maintenance for refrigeration are just some of the implementations we are seeing across the market." So, what's happening in this sector? Edwill Nel, client experience executive: Enterprise Segment at Internet Solutions Technology, says the point of sale experience is moving from the physical store into the consumer's hands. "While a lot of consumers still want the touch and feel of certain products, such as designer fashion, the commodification of an increasing list of items means people are spending less time in stores in favour of the convenience of e-commerce." Traditional payments using cash and credit/debit cards are also making way for mobile payment methods such as Snapscan, Masterpass, Zapper and even cryptocurrencies, which adds flexibility and opportunity for merchants without card facilities and/or bank accounts, says Nel. Unfortunately, in the sprawling e-commerce landscape, security is usually the last thing retailers consider. And this is part of the reason that major retailers such as Pick 'n Pay have been exploring cryptocurrencies as an alternative payment method. Dos Santos notes a number of retailers are experimenting with the use of blockchain within the supply chain and, although this is still at an early stage, it offers lots of scope for exciting future development. "In South Africa, we often assume that we are behind the curve of global adoption, when, in fact, we are often the trailblazing early adopters of new technology at enterprise scale." However, there are security risks for consumers as more ecommerce platforms emerge. Retailers, Nel notes, often overlook the basics when it comes to security and tend to store customer data in flat data bases with minimal security intervention. They also face the threat of Distributed Denial of Service (DDoS) attacks, which target firewalls and open ports to implant viruses or breach the network to acquire information. Nel adds it's quite simple to buy a hacking kit off the internet for $50 that produces an emailer that sends customers a very authentic-looking replica email directing them to a spoof site, which can then capture user and payment details. "Unfortunately, in the sprawling e-commerce landscape, security is usually the last thing retailers consider. The business is intensely focused on creating a working e-commerce solution, but security is often an afterthought." Retailers are embracing any technology that helps them boost their gross profit (GP) because they're under so much financial pressure after the ratings downgrades and political instability. Despite this, an area that is growing is the reward, or loyalty card, which a consumer hands over or swipes every time they buy products at a specific outlet. Says Nel: "It's become commonplace for retailers to use analytics such as machine learning, artificial intelligence and big data." This data, Nel notes, is used to gain a better understanding of customers and provide better services, and keep better track of what is being sold, and what products are gathering dust and approaching their sell-by dates. So, it's not so much a privacy breach as the shop simply wanting to serve you better. There are, as Dos Santos points out, increased capabilities being added, with features such as facial recognition applications to measure customer engagement on a per segment basis, and personalised product recommendation based on inputs from multiple internal and external data sets. Despite the shift to e-shopping - who didn't order all their festive season gifts online and just have them delivered - the mass retailer is still struggling to integrate advanced technology into their business models, says Nel. This, he says, is because they don't yet fully understand the skills they need to implement an actualised and integrated technology solution. Nel says that, because consumers are inundated with promotions and electronic vouchers, retailers must use the vast wealth of data analytics to tailor personalised offers that will resonate and convert a once-off shopper into a long-term relationship. Yet, as Nel notes, the danger of analytics is that it requires suitably skilled people to work out what all that information means. He notes that there are only about 100 fully qualified data scientists in the world - of which 23% have a PhD and 44% a Master's degree. But, based on LinkedIn research, there are an additional 60 000 people working on various parts of data science. "These aren't just IT technicians, but experts who understand the complex process of designing systems that continuously improve customer experiences." The benefit to going electronic as a store includes using big data to optimise inventory and supply chain management, which will, as Nel says, eliminate delays, reduce wastage and ensure that the right product is available at the right time. Nel anticipates much better use of AI apps that make data mining and data management much more efficient. "As more data becomes available, smart systems will offer better prediction of future outcomes, accurate insights and targeted promotions relevant to customer needs." Q: How are so-called traditional retailers chasing tech? A: Chris Ogden, CEO, RubiBlue: The world is changing quickly and from many angles, but disruption through technology is far-reaching and impacting most businesses. In a traditional world, this fact is the most important as those that are chasing it will succeed and those that don't will become heavier and less likely to succeed. Simple solutions that empower the consumer to make their life easier is the key to success, not only looking at tech internally to drive efficiencies. Many are coming up with innovative ideas and tech to try and drive consumer flexible sales. Point in case is online shopping, technically enabled drop boxes, as well as things like chatbots, AI, etc. Targeted marketing using beaconing has become a popular feature, sending content to entice consumers via the smartphone, as everyone is walking and reading/typing and not looking around them. The more retailers take the product to the consumer, the more the consumer has the flexibility to buy and consume on demand, at their convenience. Q: What technology is being embraced by retailers, locally and internationally? A: Chantel Troskie, customer experience senior sales manager at Oracle South Africa: While the majority of South African retailers that provide an online engagement layer have traditionally used solutions such as WebRTC - with a human operator at the other end - to drive online conversation, the adoption of intelligent chatbots is set to shake up the landscape. This not only includes chatbots for customer service, but also to drive sales. A research report titled `Can Virtual Experiences Replace Reality?' ranks South African brands as being the most confident in their ability to spot new trends in customer behaviour ahead of their counterparts from the UK, France and the Netherlands. Spotting trends and capitalising on them are two different things however, and this is where retailers are turning to innovative technologies to make the difference. The report reveals that the use of emerging technologies is set to surge by 2020, with 80% of brands expected to serve customers through chatbots, and 78% to provide customer experiences through virtual reality. The same research ranks South African companies last, however, for the adoption of chatbots (with only 30% of respondents using them) suggesting that there is plenty of room for growth in this area. A: Hendrik Bredenkamp, MD of NEC XON Retail: Retailers are embracing any technology that helps them boost their gross profit (GP) because they're under so much financial pressure after the ratings downgrades and political instability. The reality is that many cannot continue as standard brick and mortar operations. They have to embrace the online phenomenon beyond just a portal where customers can see what's available in-store or buy some items. There are a few examples of how local retailers are exploring international trends in this context, like the delivery boxes, for example, where customers can buy online and collect goods from a locker at their local petrol station. In effect, it means the retailer enlarges its footprint to be closer to its consumers. Another is adopting cryptocurrencies. And yet another, unseen by consumers, is the cloud-based transaction-matching system that reconciles supply chain records, which is a big (and otherwise expensive) headache for most retailers. The online phenomenon is so powerful that a locally based international retailer is doing literally ten times the revenues online today compared with what it did two years ago. And others have indicated to me that they are moving to strike a balance between the brick and mortar and online worlds. Customers aren't happy with going entirely one way or the other, depending largely on the types of products they are interested in. But local consumers still want to touch and feel the products they intend to buy, decide on a product and then purchase at the store or enjoy the convenience of online shopping and various forms of delivery or easy collections. Internationally, consumers will predominantly buy online and get the goods delivered. But, whichever way they go, retailers need to cut costs and most of them have reduced operating expenditure as much as they can without affecting their bottom lines. Hence the reason why retailers started to investigate cryptocurrencies and the advantages blockchain technology could offer. As an example, some crypto coins are specifically developed to reduce the transaction costs to a fraction of what banks charge retailers. Paying by cryptocurrency means you don't go through a bank like you do when you pay by debit or credit card. What a lot of consumers don't realise, or forget, is that the retailer pays a fee for every transaction that is done via card. When you consider the millions of transactions the large retailers do every month, that amounts to a lot of revenue lost to them. The local retailers are taking a serious look at embracing cryptocurrencies. Another potential cost saving for retailers is cloud-based transaction matching software. This software is like an AI technology that helps retailers and suppliers eradicate mismatches from the purchase-to-pay cycle in the supply chain. The system checks and balances everything in real-time. Once again, local retailers are playing catchup with this technology, due chiefly to the stricken local economy, so they're just now beginning to experience the 40% efficiency improvements in this part of their businesses, where their global counterparts are getting 80%.